Loft beds are great for so many reasons. But if you have a place with limited space it can be perfect. Loft beds have an elevated sleeping space with a space underneath for storage, seating and for many, a desk or workstation. This works well in small apartments, small rooms and even small homes. Loft beds can even be fun for those that have kids. The versatility of loft bed styles can include loft beds with ladders, steps and even slides! So, no matter what style you need, you no doubt will find a cool loft bed to suit. Loft beds fit perfectly into the smaller spaces that many apartments and homes many have today. With its varied designs, wood, metal, plastic and more, they fit into any modern decor one may have. 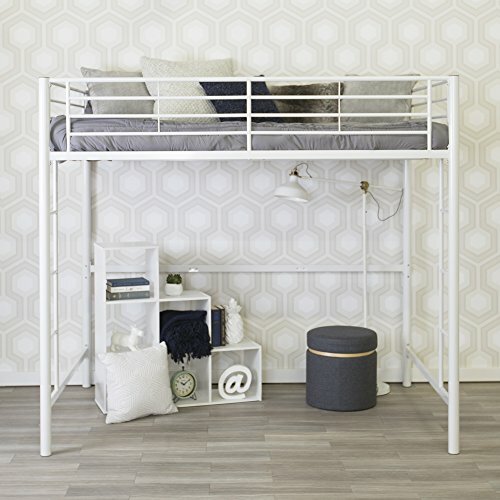 We've curated a plethora of loft bed options that you no doubt will enjoy. Whether you have kids, are in college, are a work from home entrepreneur or looking to maximize your current space, there is a loft bed for you. Many look for these types of beds by searching for bunk beds. But the main difference is that the bunk beds usually have another bed under them With loft beds the space under the elevated bed is used for other purposes. You can imagine how kids will love this. Not only are slides a memorable and fun part of any childhood, your child can live and relive this every day when coming down from their loft bed. But going up to bed isn't a chore either. Convenient and equally fun ladders are included with each design. Check these out. Your kids will love you for it. Loft beds have been ranked among the stunning, elegant, and credible beds to elevate your sleeping quarters with a style. A loft bed is profoundly significant for a small bedroom. Realistically children’s rooms tend to have a smaller space, which can create a dozen of inconveniencies especially when they want to do their studies at home. By the golden creativity of loft beds, all of your problems are solved. You can have a more functioning space in the children room, and keep it orderly for smartness purposes. Placing a loft bed on an elevated surface, permit your children to have a beneficial usage at the area under the bed. When a loft bed is combined with a wooden desk, it serves as a crucial place for doing the homework. Amazingly, this can make studying at home more interesting and enticing experience for your children. 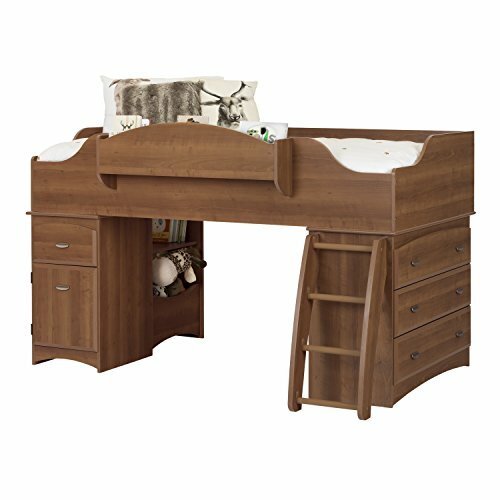 The options for storage offered by loft beds with a desk give an added advantage for your children. Open shelving and spacious cabinets can play the role of storing school supplies, clothes, decorations, and toys. This wonderfully leaves an extra room for safe movement and play. Loft beds are dissimilar in numerous levels of design and craftsmanship. They might be made in a simple or a traditional form with sophisticated details, but also can be accessible in intelligent and exquisite structure. Below are different types of loft beds for your selection. 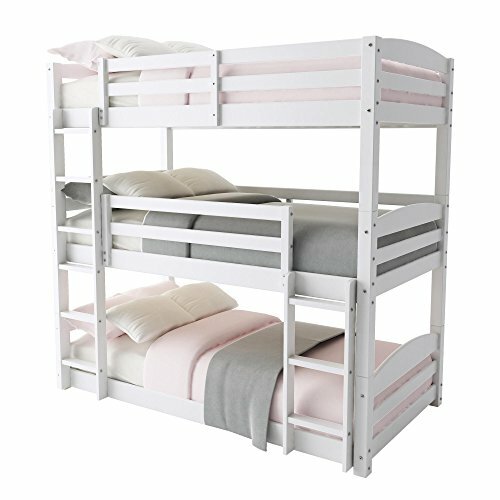 Basic Type Loft Bed: is basically a raised bed with nothing under it. The design of this bed gives a room for a free space, an open area for playing, or for keeping the toys. Twin over Full Loft Bed: these beds are mostly loved by a large number of people. It comprises 2 beds put on the top over each other, essentially to accommodate 2 kids of the same age. 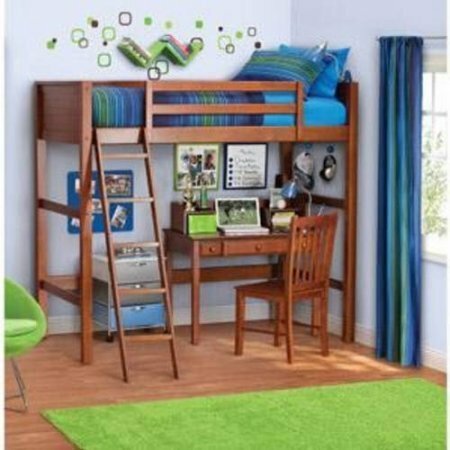 Loft Bed with Dresser: Loft bed with dresser is a designed bed which has a sleeping place, with a dresser underneath. 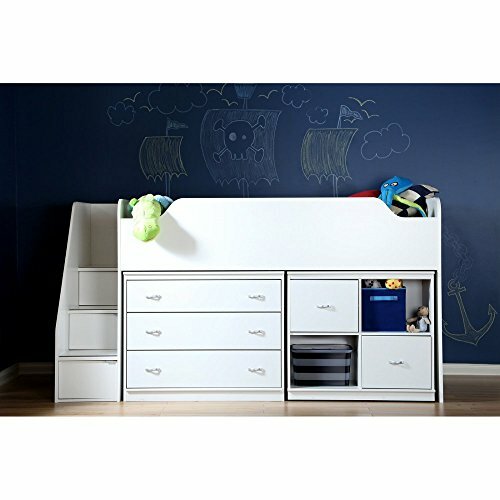 Dressers can take a bigger area, so this is awesome for parents or guardians who want to maximize space. The configuration of this bed is a tremendously efficient unit, as it has shelves for storing individual possessions, books, toys, and dresses. Study design loft bed: this bed uses the designed loft platform to keep a desk or a workstation below the top level. Study design loft bed have shelves for storing books, and other learning-related kinds of stuff while other beds of this type can be used to store a PC or laptop. Loft Bed with Slide: if you attach a curtain below this bed, it creates a room for playing, storing toys, or a princess’s castle for hiding. It is mostly bought by a massive of people for entertainment purposes. What are some safety issues that should be considered when purchasing a loft bed? When faced by a challenge of a small room, it becomes a bit difficult to get a bed that doesn’t take the entire space available. In this circumstance, some individuals make a wise decision of buying a loft bed to solve their existing problems. I have highlighted and explained in details some of the safety issues you should consider before purchasing a loft bed. A Headroom Space: One of the most significant aspects you should consider when you are searching for a loft bed is the headroom. The headroom is the space which lies between the top of the mattress and the ceiling. You need to have a sufficient headroom space which enables you to climb up to your bed and get out without being hurt your head by the ceiling. The perfect measurements for a headroom are at least 30 inches. Guardrails: Guardrails are very important especially because some accidents are always potential to happen. So in case you are turning on your loft bed at night guardrails prevent you from falling down. A good mattress: purchasing a loft bed isn’t enough, a good mattress really complement a loft bed. A poor mattress of cheap quality can cause some back pains. It’s highly recommended to buy a mattress of good quality to have a comfortable sleep during the night. No kid below six years of age should sleep on a bed more than 30 inches from the floor. The sides of a loft bed should have similar railing conditions as bunk beds railings on every side that extends in at least 5 inches from the top of the mattress. The guardrail on the place away from the wall may probably have a gap of no more inches exceeding 15 inches at the end. On the side of the wall, the railings are supposed to be extended from one end to the other. The ends of a loft bed should be above 5 inches from the mattress or alternatively should contain railings installed to that given height. The gaps between the loft frame and the mattress should not be more than 9 inches. There should be 30 inches of space between the ceiling and the top of the mattress. This gives enough space for a large number of sleepers to maneuver safely and sit upright. What Factors Should You Consider Before Buying a Loft Bed? Function: A loft bed probably may have a desk below the bed, but the desk may not be sufficient if you want to have a complete office station. If you need a second bed that perfectly suit a complete office station, go for a standard bed or a bunk bed with a trundle bed stored below. Safety: you should purchase a loft bed that has side rails and a ladder. This is very crucial for your safety in case of any accident which might happen. 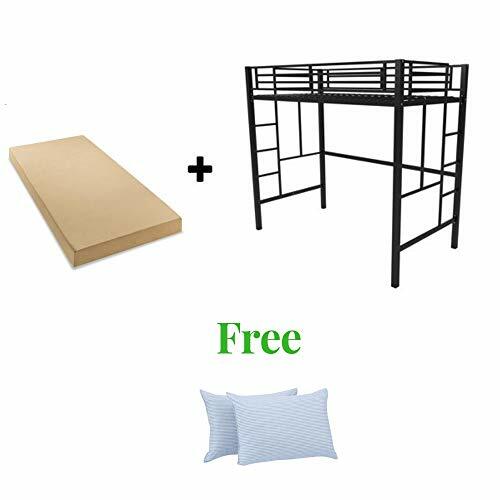 Material: you should buy a loft bed that is durable. Some designers can design a loft bed that lasts only for a few days and then it breaks down. 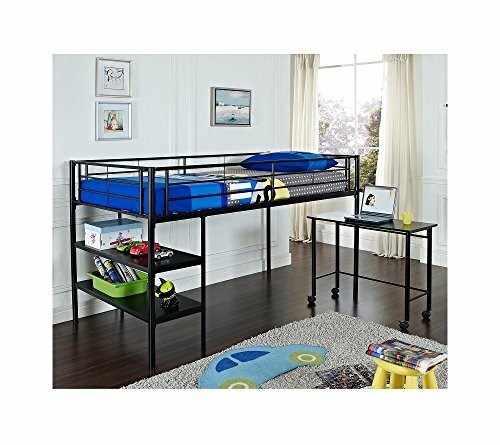 What is the difference between the Home Loft Bed and the College Loft? The home loft bed is designed with various safety rails fundamentally depending on the thickness of the mattress. 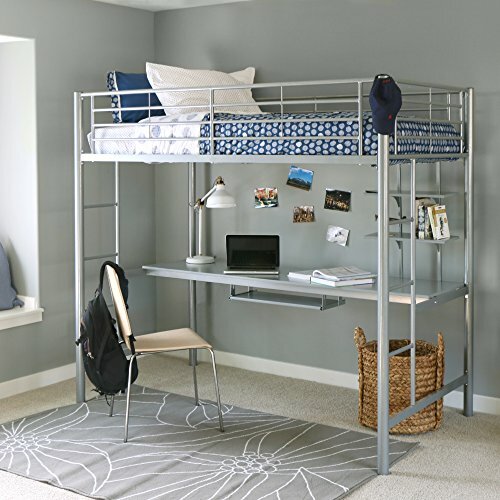 The college loft bed is made with one safety rail for the front side and an alternative one on the back. A loft bed is versatile, efficient, and relevant for big and smaller rooms. 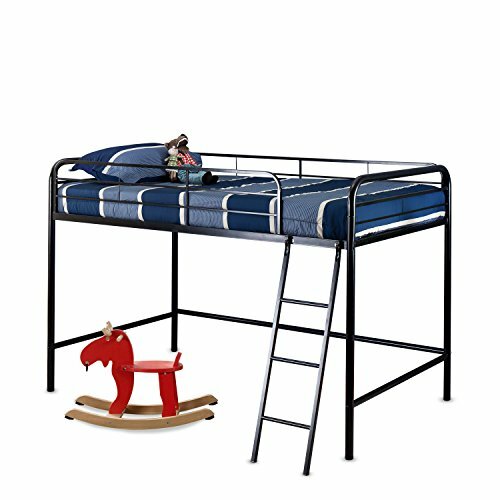 Massive of users across the whole world have testified that loft beds are amazing, awesome, and highly comfortable for the children. After you have read the article about different kinds of loft beds, it’s the opportune time to buy a loft bed of your choice.